When talking about famous female artists, one cannot fail to mention the talented and renowned Emily Carr from Canada. She has managed to depict a variety of settings in the most beautiful landscape paintings and has been praised for her modern art as well. This time, she has put all her talent on the reverse of a new coin from the Royal Canadian Mint. The result is a unique piece with a variety of technologies and a special canvas effect. If you consider yourself a passionate and dedicated coin collector, you shouldn’t miss out on the amazing opportunity to own a coin with Emily Carr’s artistry on it. The fine silver shows the luminous sky and the artist’s intentional use of brushstroke effects to mimic the real painting. Read on to learn more about all the details that make this coin a must-have collection addition. In the 1927 Canadian West Coast Art, Native and Modern exhibition, Emily Carr’s brilliant works of art were shown to the wide Canadian public. Back then, she was focused on the First Nations, bringing their ways of life and stories to the canvas. Later on, she focused on depicting beautiful sceneries from the vast and dense nature in Canada. She found it crucial to show the importance of nature to Canadian self-identity and history. Through her paintings of forests and landscapes, she wanted to express her strong identification with nature as well as her belief that God is present in nature. That is why the Royal Canadian Mint chose Emily Carr to work her magic on the reverse of the coin. She managed to create an expressive and attractive design that resembles a canvas painting. The design is based on Emily Carr’s painting, Big Raven, where she used a sculptural form and a vibrant surrounding. On the coin, various techniques were mixed to achieve the original look of the painting, using sweeping lines that mimic the actual brush strokes. The raven is surrounded by dense nature and the coin’s geometric-shaped silver particles represent the illuminated sky. The coin has serrated edges and a face value of fifty dollars. The obverse is designed by Susanna Blunt and it features the effigy of Queen Elizabeth II with visible brushstrokes and the replication of the sky from the reverse. The fact that one can own a famous painting on a collectible coin should make any collector excited to get their own. Emily Carr has made a huge contribution to Canadian art, with plenty of work that tells a story of identity and relationship with nature. The words “BIG RAVEN”, “1931” and “GRAND CORBEAU” are engraved above the raven and underneath it, “EMILY CARR”. If you’re wondering where to find the collectable coin with Emily Carr’s painting on it, check out the Colonial Acres Website. The coin’s 65.25 mm diameter gave ample space for the detail reproduction of the “Big Raven” painting, mimicking the actual brushstrokes. 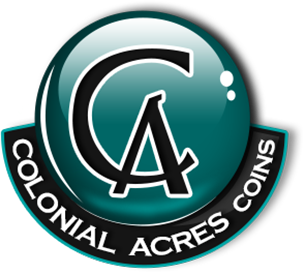 Colonial Acres has the unique coin, packaged in a maroon clamshell with graphic beauty box, perfect for gifting or just keeping the coin in. The Royal Canadian Mint gives you serialized certifications, where each certificate gets a unique number. Hurry to get your own coin and avoid missing out on the beautiful piece that celebrates a talented artist from Canada. Now you’ll be able to show your gratitude and appreciation for Emily Carr’s art through a special silver coin from the Mint.